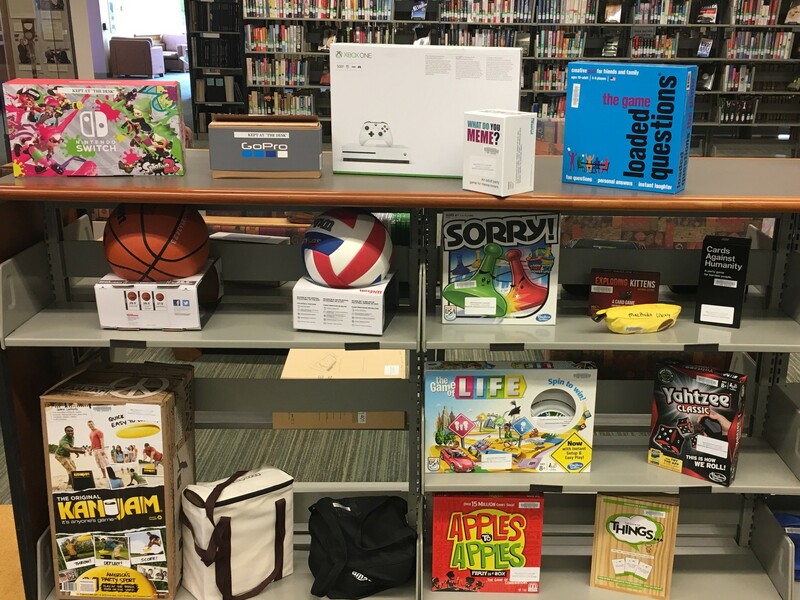 MacPhaidin Library has a new collection called the Library of Things which includes items ranging from board games to cake pans to chargers and more! The Library of things is located near The Desk parallel to the Leisure Reading Collection. Items located in the Library of Things collection can be checked out at The Desk. All items may be checked out at The Desk for one week by students, staff and faculty. Please return items to The Desk, instead of the book drop box. Have a recommendation for something we should add? Suggest a Thing!